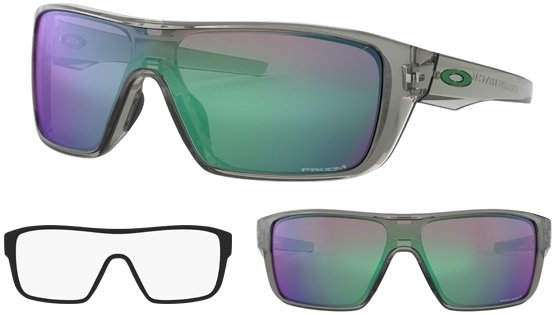 The Oakley Straightback is a lightweight O Matter™ frame with interchangeable icons and a single one-piece lens that extends the peripheral vising and improving side protection. Matte Brown Tortoise with Prizm Tungsten Polarized Lens. Black Ink with Prizm Black Polarized Lens. Inspired by the sleek angles that give Oakley Drop Point its sharp look, this lightweight O Matter™ frame with interchangeable icons takes advantage of a single continuous lens to extend your peripheral view while improving side protection against sun, wind and impact. Straightback stays in place with the secure grip of Unobtainium® nose pads to maintain a comfortably secure fit is made for small to medium faces. Accessory icon sets are available in different colors to let you change the look in seconds.